May Garden Palace has been in town for many ages, and many people in town knows what’s best is this restaurant. I think I could think of their Roasted Suckling Pig, Peking Duck, Sweet & Sour Crab, Grilled Pacific Cod Fish and even Shark Fin. Well, for this dinner in particular, we can’t have something like that, cuz, my in law requested to have something simple and easy for them to chew. What’s simple that is can’t go wrong would be steam fish. 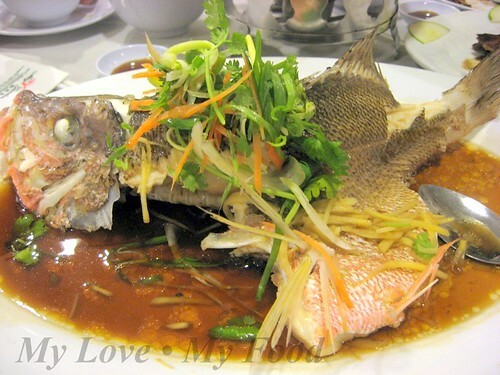 The fish that served is fresh and it steamed to perfection. Apart from steam fish, we ordered something that we both honestly yearning to have, some suckling pig, roasted ribs. 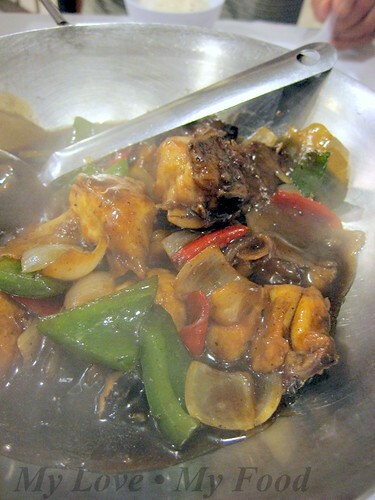 Claypot Chicken which they have recommended, according to them is chicken dice sauté with fermented soya bean. 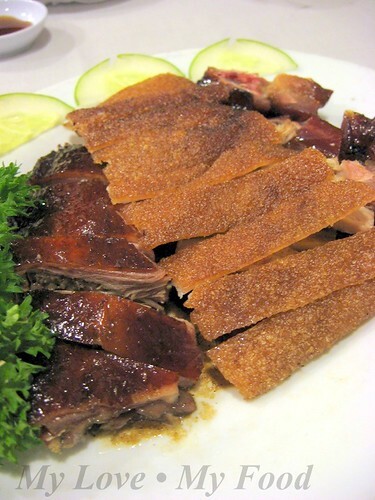 Well, it’s tantalizing and it’s good to have it with steam rice. 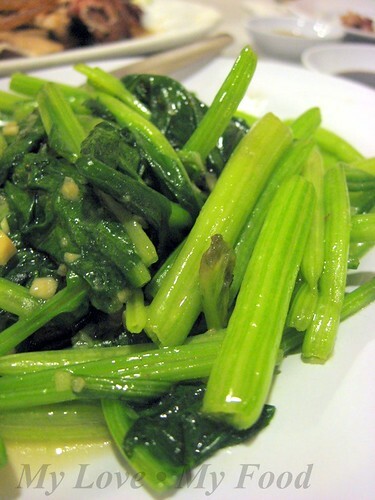 Some greens for the meal, we have something simple – garlic stir fry spinach. 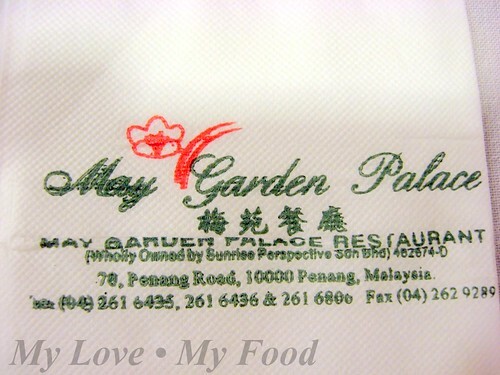 I supposed we didn’t order May Garden’s signature dishes, thus the dinner wasn’t that satisfying. However, if the restaurant could up keep its cleanliness and services, I believe customers would definitely come back for their food again. Can someone tell me the way to roasting the suckling pig till sooooo crispy? It looks so irresistible! The plate of suckling pig and the boiled black chicken soup is usually what we would order in May Garden. Never go wrong ordering them. My simple wedding dinner was organized in that humble little restaurant. still, i feel the roasted suckling pig here is better than Babi Guling of Indonesia's. I just love their roast counter. What ever hanging there are just great! suckling pig is sinfully great ! i can't resist those! The steam fish takes the prize. Look like jenahak to me.